California has 879 designated opportunity zones, including 871 low-income communities, plus 8 non-low-income contiguous tracts. Statewide, the vast majority (97%) of California’s census tracts are urban. 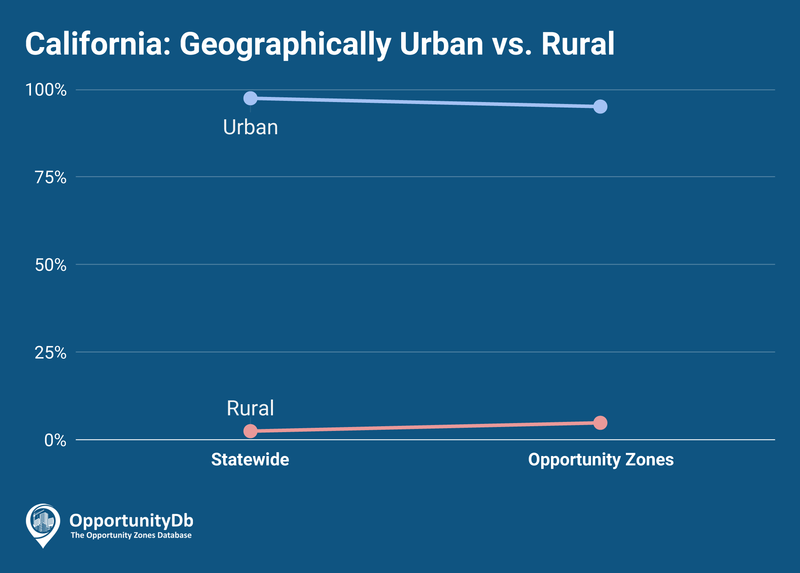 As a result, very few (just 5%) of California’s opportunity zones are rural.